From the outset, the stories of Trayvon Martin and Chen Guangcheng couldn’t have seemed more different. One, a young black man shot to death in central Florida while carrying a bag of Skittles. 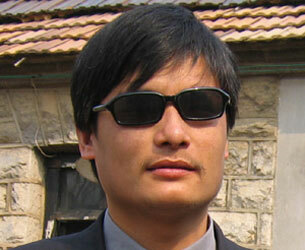 The other, a blind lawyer activist in rural Shandong held under illegal detention in his own home. But in recent months, both men became sensations on their respective Internets, which are largely divided by linguistic and technical barriers. 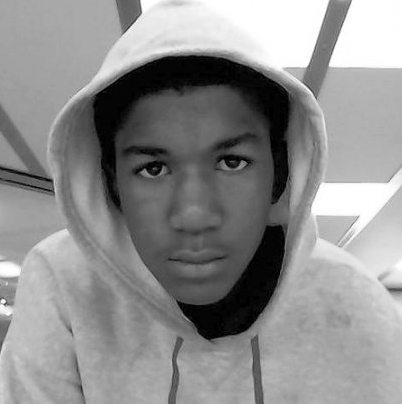 In the United States this past March, it was impossible to ignore the name of Trayvon Martin, or forget the hoodie he was wearing. And in China this past year, although Chen Guangcheng’s name was officially censored from search queries, his name and face were on the fingertips of web activists as they found ways to advocate for his release. In both cases, sustained internet activity kept the conversations about these two men in public discourse. Living in China for the past year, I’d become increasingly aware of how memes could be quite effective in contexts where public speech is extremely limited. The memes slip by the usual censorship techniques and inspire others to co-create, thus propagating the message amongst an ad hoc community that’s not easy to shut down. It’s more difficult to sort out the role of internet memes in the US, where opportunities for public expression are diverse. In an environment with the legal right to public speech and assembly, memes seem comically ineffectual. How could an image posted to Tumblr or Facebook possibly be helpful when there are so many other proven channels to try? The thing that fascinates me most about the life of political memes isn’t necessarily the spread (they’re fairly easy to map) but the “anti-memes” that will occasionally pop up to try and counter and stop the original meme from spreading. To do this type of activity in China, you first need to consider the safety of participants and protect the security of their messages. You also need to consider how to eliminate message interference. When broadcasting a message on the social web, it’s very easy to receive malicious interference. The first message can be lost or altered. This is my own experience. I believe that when beginning an [internet] activity, you need to consider these two points. Are you aware of memes used in other political and cultural contexts for social ends? The universality and parallels of the above memes, which came about independently of each other, suggests to me that the idiosyncrasies of internet culture are starting to bleed over more and more into the “real world”. I suspect we’ll see more and more of this. Media artist and researcher Mona Kasra suggested the phrase “counter memes”, as “anti-memes” suggests that they are not memes. When, in fact, they are. I liked this phrase.